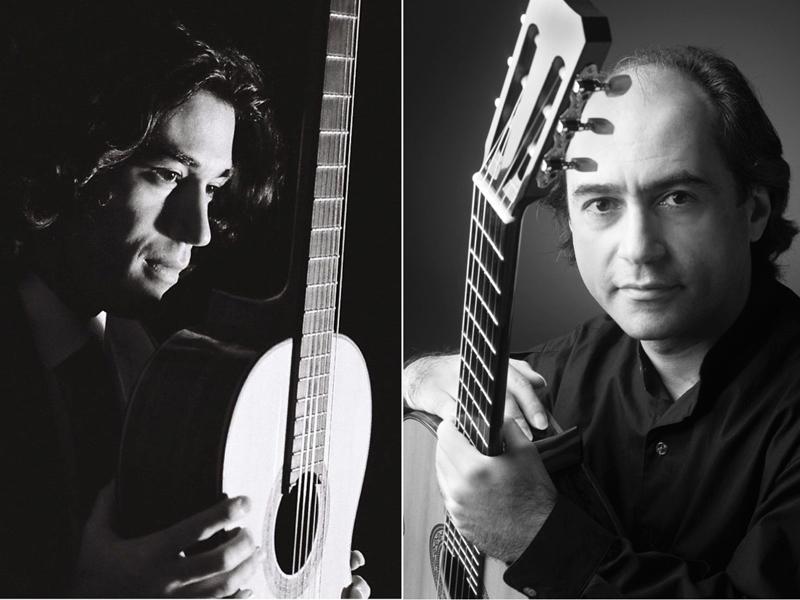 In the opening concert of the festival, Celso Cano and Mesut Özgen present a program of solo and duo works from classical, Spanish, South American, Turkish, and modern guitar repertoire. 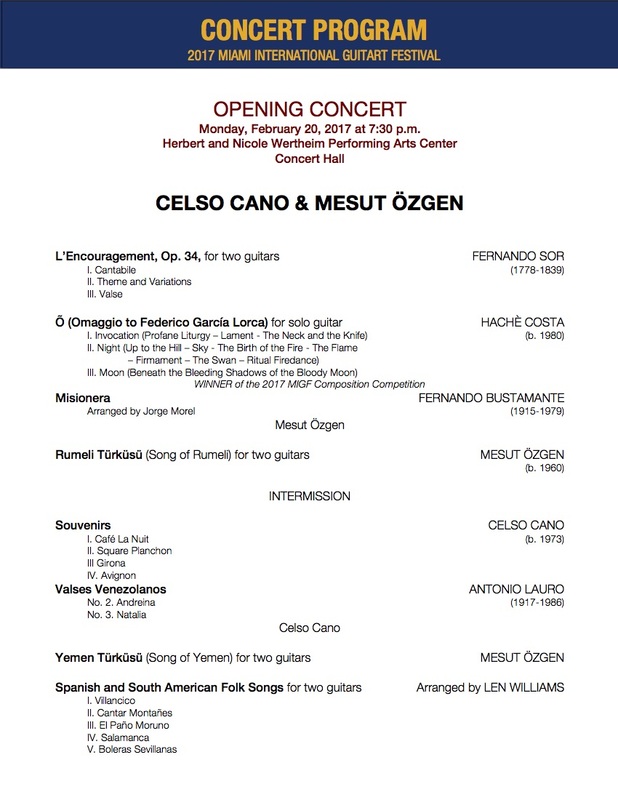 Featured composers include Fernando Sor, Len Williams, Antonio Lauro, Fernando Bustamante, Celso Cano, Mesut Özgen, and Hachè Costa, the winner of the 2017 MIGF Composition Competition. 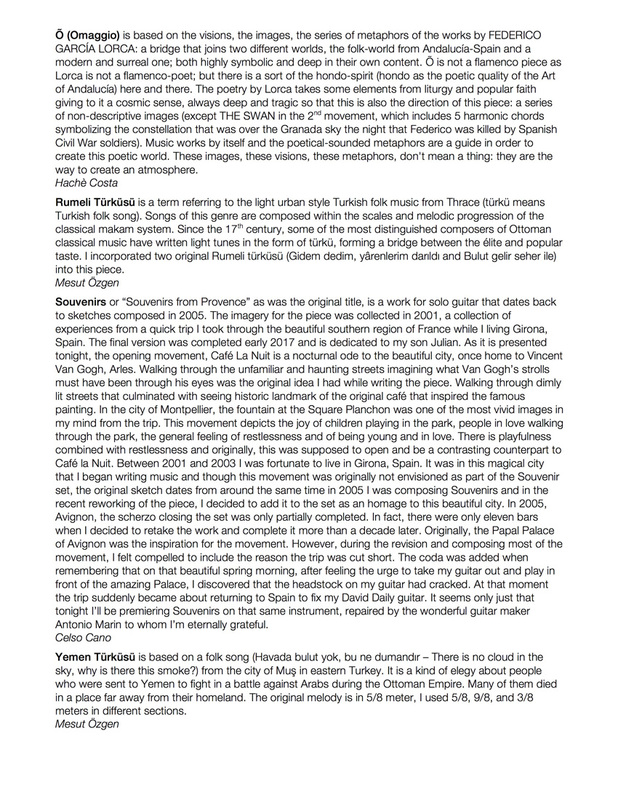 © 2019 2017 | Miami International GuitART Festival.